Under Round 2 of the Program, Optus successfully secured $26.4 million in Federal and State Government funding to build 114 new mobile sites, with Optus co-contributing a further $36.4 million to provide dedicated connectivity to thousands of Australians. Optus’ bid includes funding for 65 mobile base stations as well as the deployment of 49 satellite small cells. 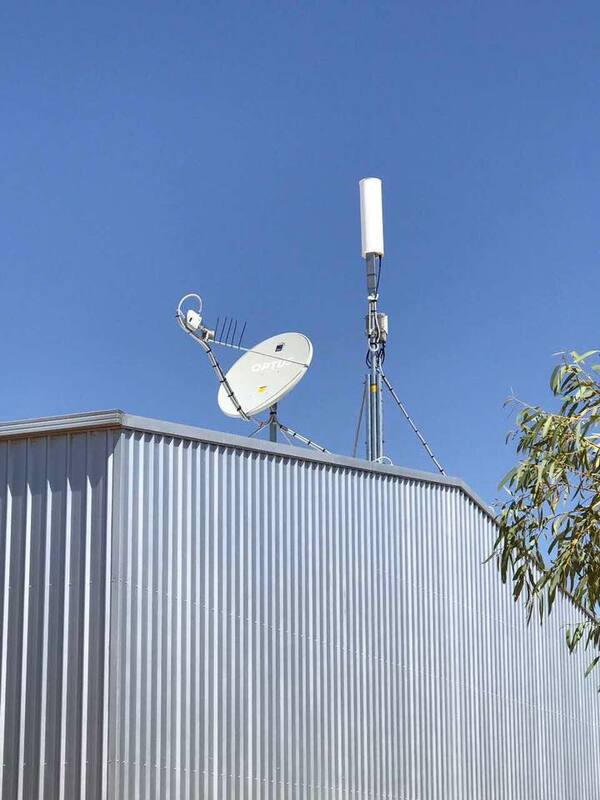 All ten permanent residents of South Australia’s William Creek will get mobile coverage for the first time when Optus switches on its first base station subsidised under the federal government’s mobile blackspot program. The outback town is famed for having one of the world’s most remote pubs and the only petrol station between mining centres Maree, Coober Pedy, and Oodnadatta. It is surrounded by the world’s largest cattle station, Anna Creek, which spans some 24,000 square kilometres. However, it is also frequented by a number of tourists passing through the village as they explore the famous Oodnadatta Track or stop over on their way to Lake Eyre, which is about 1000 km away. Visitors - as long as they are Optus customers - will now enjoy 3G mobile reception in town rather than having to rely on one of William Creek’s solar powered pay phones. Optus, which was conspicuously left out of the first $100 million round of the mobile blackspot subsidy program, has installed a satellite small cell in the centre of town, relying on both satellite connectivity and backhaul to deliver 3G mobile reception within a radius of three kilometres of the town. Optus national planning manager Vince Mullins said William Creek's new technology was the result of an 18-month trial in Oodnadatta. "Unlike a normal mobile base station, which is quite expensive and large, we've shrunk that down and we're basically able to provide hot spot coverage in these really remote areas," he said. "To deploy, it's very quick, as opposed to building a massive tower, and it's great because we can use satellite technology to backhaul it rather than having to run microwave or fibre." Optus, the South Australian and Federal governments have invested $8.5 million to improve mobile coverage across regional and remote areas in the state. More than a dozen other remote locations will also see similar technology soon. "Our primary vendor for this project is Gilat," an Optus spokesperson told Telecom Times. "Through our relationship with Gilat we also work with Parallel Wireless, who are providing the mobile related equipment and technology for the rollout, such as small cells and mobile network gateways."